I always forget that Brits call Santa “Father Christmas.” It doesn’t come naturally to me. He’ll forever be Santa to me. 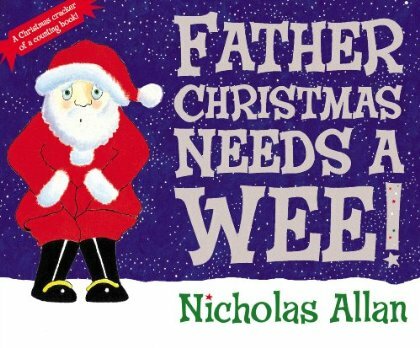 But perhaps the British moniker will be fresh in my mind, thanks to this little addition to our library – “Father Christmas Needs a Wee!” by Nicholas Allen. Posted on 16, December 2011, in Books, Children and tagged Father Christmas, Father Christmas Needs a Wee, Kids' books. Bookmark the permalink. Leave a comment.